Whenever there’s a children’s party or any regular gathering at our home, I always prepare a large batch of spaghetti for all my guests. Though, more often than once, I always ended up making a sauce that’s too watery to put in my pasta. If you too struggle with runny spaghetti sauce and would like to find out a simple way or two regarding how to thicken spaghetti sauce, you have come to the right place. In this article, I am going to share two simple techniques with you that you can use in your kitchen whenever you find yourself in a situation where you will need to thicken not just spagh﻿etti sauce, but other types of sauces as well. I hope that by the end of this article, you will have enough knowledge to try fixing your spaghetti sauce all on your own confidently. You might even end up teaching these techniques to someone else. Read on to find out more! These two techniques I’m about to teach you may probably be the most common kitche﻿n techniques when it comes to thickening sauce. The first one is so simple that it basically requires a working stove and a clean saucepan. The second one is more complex, but still simple nonetheless. There’s just an essential additional ingredient. Feel free to choose whichever of the two you plan to try in your kitchen at home. The first technique I will teach you about is probably the simplest technique of all. This technique is called reduction. The reduction is basically the process of thickening or enhancing the flavors of liquid based foods such as stock, soups, and sauces by simmering or boiling over a certain amount of time. However, if there are cooked vegetables or meat in your sauce, you may want to remove them first since this technique is originally intended for liquids. Make sure that your spaghetti sauce is free of any cooked meat or vegetables to avoid overcooking them. If your spaghetti sauce has been frozen, do defrost your sauce first in the microwave. 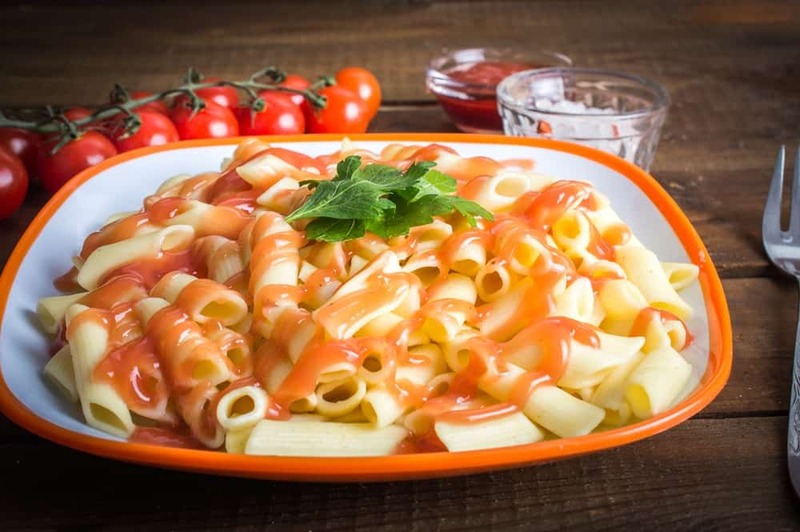 Lastly, if your sauce has been stored away from some time before, do make sure that it is still safe to eat before attempting to thicken it for another serving of pasta. You should get a saucepan depending on how much sauce you are planning to thicken. If you are not sure how much you will put in the pan, it would be best to go with a medium to a large sized saucepan to avoid spilling your sauce over the pan. Before you use your saucepan, make sure that it is completely clean and ready to use. This whole technique relies on the power of heat. You will need a stove with a functioning low heat setting to correctly execute this technique. If you have an electric induction stove, make sure that you are inputting the right setting to avoid getting the sauce burnt or over-reduced. Place your saucepan on the stove. Make sure that your saucepan is firmly in place to avoid spilling the sauce as you stir it during reduction. Once your saucepan is on top of your stove, simply turn on your stove and set it at low heat. Make sure that your stove stays at the correct temperature to avoid burning your sauce. When the pan is completely heated up, pour your runny spaghetti sauce slowly into the pan. Depending on how much you have put in, you may need to stir your sauce for 5 minutes or until your sauce has been reduced, and you have ended up with your preferred consistency. After being thickened to the right consistency, take off your saucepan from the heat to avoid reducing your sauce some more. Place your thickened sauce over your pasta or in a clean container. The second technique I’m going to tell you about is another popular technique that has been widely used in the culinary industry to create thick sauces. The materials you will need are the same as the ones I listed for the first technique, but with an added ingredient. If you do decide to go with this technique, remember that you should be mindful of the additional ingredients you will put in your sauce, especially since you might end up with gooey gelatin-like sauce if you put in too much. You can buy a box of cornstarch from your local supermarket. Don’t be tempted to buy large packages of cornstarch unless you plan on constantly using it for your kitchen. You won’t be needing much to thicken your spaghetti sauce. About half a teaspoon would do for every cup of sauce you have. You will need clean drinkable water to dissolve the cornstarch in before you add your cornstarch to your sauce. Make sure that the water you are using is at room temperature. Mixing cornstarch with water may make you end up with gelatin instead of something that you can use to make your sauce thick. Practice a 1:1 ratio when mixing water with cornstarch to avoid doing so. Just like in the first technique, simply place your saucepan on the stove and make sure that your saucepan is firmly in place. Once your saucepan is on top of your stove, simply turn on your stove and set it on low heat. Make sure that your stove stays at the correct temperature to avoid burning your sauce. As you wait for your saucepan to heat up, simply mix half a teaspoon of cornstarch with half a cup of water. This is assuming you are thickening spaghetti sauce for one serving. Pour your spaghetti sauce into your saucepan and give it a couple of stirs. Next thing you should do is slowly add the cornstarch mixture to your sauce little by little while you continuously stir it. Stop adding the cornstarch mixture once you have reached your preferred consistency. After being thickened to the right consistency, place your thickened sauce over your pasta or in a clean container. 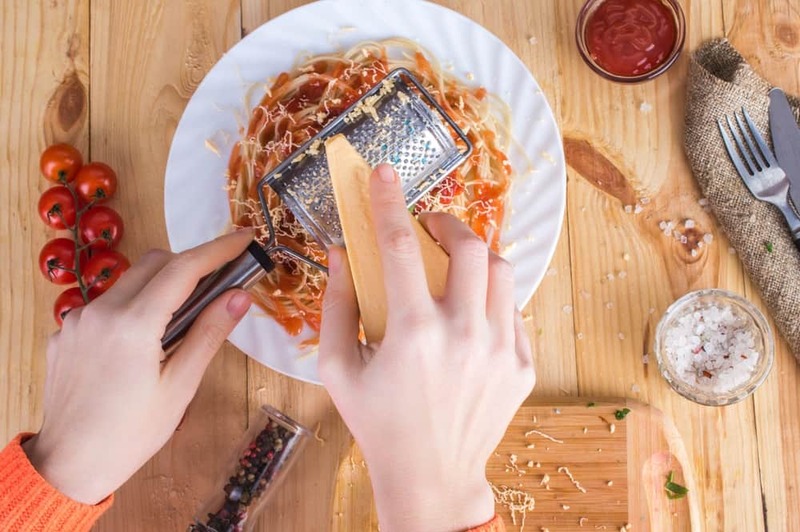 If you are unable to perform any of the two techniques I have taught you about, you can always look to other ways to effectively thicken your spaghetti sauce. The culinary world is a very versatile one after all. Here are some tips that would require other types of ingredients for you to make a nice thick spaghetti sauce. If you do not mind getting an extra texture in your sauce, you should try adding some breadcrumbs in it if you want to end up with a thick sauce. You can easily buy a pack of breadcrumbs from your local supermarket. Do not hesitate to get a large pack, especially if you are making plenty of sauce. Once you got yourself a decent amount of bread crumbs, simply put them in your sauce at you heat it up over the stove. Stir your sauce as you add your breadcrumbs in to ensure even distribution. Another thing you can do to make a thick spaghetti sauce is to add certain kinds of cheese to it. Now, this tip is strictly for spaghetti sauce if you want to try it with other sauces, make sure that the quality of the sauce you are trying to thicken goes well with cheese. When it comes to spaghetti sauce, you can use a block of cream cheese, parmesan, or cheddar. Simply add your cheeses to your sauce by grating it and mixing it in with the sauce. Once the cheeses have been added, you should continue to thicken the sauce by stirring it over low heat. Spaghetti is a fun dish to prepare for parties, gatherings, or for some special time alone. What’s great about spaghetti is that you can make a lot of sauce and save it for later when you feel like eating spaghetti once again. The only problem with making a lot of spaghetti sauce is that there’s a big chance you might end up with a runny sauce unless you have perfected the way to make spaghetti sauce. Fortunately, you can easily thicken spaghetti sauce by reducing it over low heat or by adding certain ingredients such as cornstarch, cheese, or even bread crumbs. 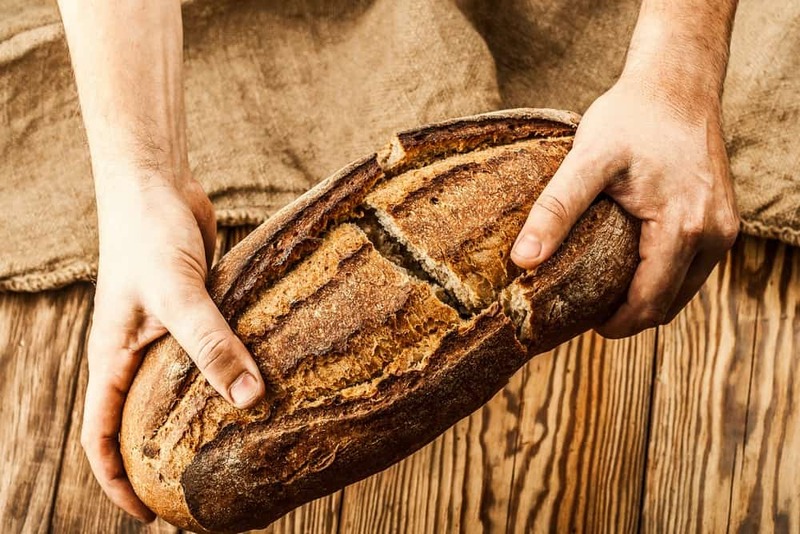 If you liked this article and would like to know more about cooking, please leave us your feedback in the comment box below. Until next time, enjoy!